Let’s go back a ways to Pascal's Manale Restaurant in New Orleans. (It's still there today). A visitor from Chicago, who was a close family friend of the owners, raved about a buttery shrimp recipe he’d tasted back in his home city. The chef at Pascal’s Manale went back into the kitchen to try his hand at replicating the recipe, and came up with something he named Barbecue Shrimp. 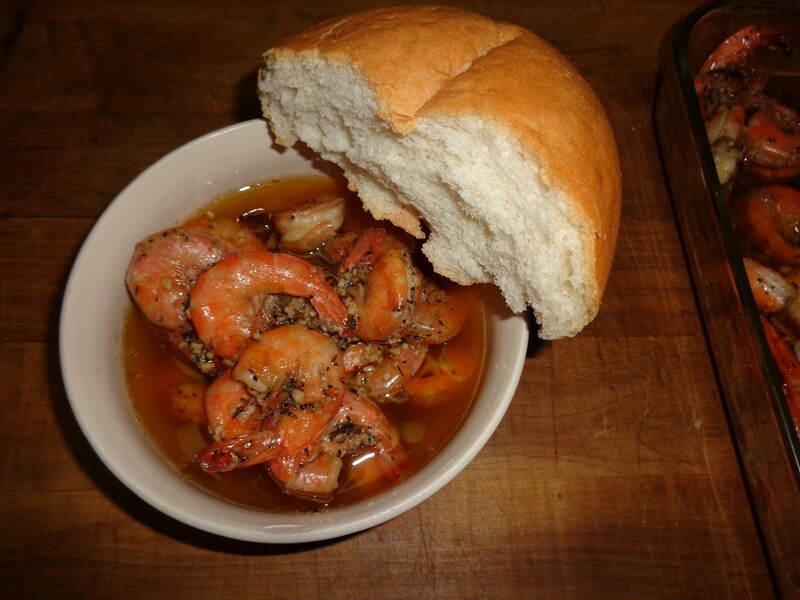 Barbecue Shrimp has been a popular dish at the New Orleans establishment ever since. This Irish single malt represents an award winning offering from the relatively new, family owned Boann Distillery located in County Meath, Ireland. It was actually distilled at the Cooley Distillery, and aged for five years in ex-Bourbon oak before being transferred to Oloroso casks for a further two years of maturation at the Boann site. The Boann Distillery will subsequently market whiskies entirely distilled and matured in-house over the coming years. Gold with an amber cast. Benromach is the Gaelic term for ‘shaggy mountain’. The distillery is located in the central-western Highlands, just to the east of the River Findhorn. Originally titled Forres, Benromach dates from 1898. It was the brainchild of Duncan McCallum, a Campbeltown distillery proprietor, and F.W. Brickman, a spirits merchant. Closed in 1983, it recommenced operating in 1998 under the auspices of Gordon & MacPhail. Benromach aims to produce a heavier spirit more akin to Speyside whiskies of the past. Whisky Profile: Watch Out for Wolfburn! Once upon a time, there was a distillery located outside of Thurso in the County of Caithness, Scotland. Founded by one William Smith in 1821, Wolfburn (named after a local water source) operated rather successfully until its closure in the mid to late 1800s. In 2013, malt whisky began to flow from a brand new Wolfburn, built in the Henderson Park area close to the site of the original distillery, about one kilometer from the Thurso railway station. For many whisky and whiskey lovers, the Holiday Season represents a time to celebrate the blessings of good friends and family by gifting and broaching special bottles of the water of life. With this thought in mind, I’d like to offer up a few spirituous suggestions. I’ve intentionally bypassed harder to procure, more esoteric and – yes – often far more expensive whiskies, and instead focused on selections that should be easier to find. Ardbeg Uigeadail (54.2%ABV – Scotland) is now a well-established Islay classic. The almost assaultive, room-filling aroma offers an invigorating lead-in to a fabulously intense, layered and ultimately alluring flavour spectrum. This one provides ample proof that a no-age-statement whisky can still attain true excellence. For peat lovers. Highland Park 18 Year Old (43%ABV – Scotland) has, over the years, garnered much praise for its breadth of stylistic nuances and consistency. This Orkney gem opens with a plethora of scents before caressing the palate with a sensuous textural quality. It’s well-nigh perfectly proportioned, and ‘has it all’. Talisker 18 Year Old (45.8%ABV – Scotland) is distilled on the Isle of Skye. Its assertive yet composed aroma reflects those additional years of maturation during which the spirit rests prior to bottling. The tremendously rich and round mouth-feel appears disarmingly succulent at first. However, small shoreline fires continue to flicker amidst the sweeter malt notes from start to lengthy finish. Simply superlative.